TORTOLA, British Virgin Islands, Monday April 28, 2014, CMC – The Eastern Caribbean Supreme Court of Appeal Monday dismissed an appeal filed by Antigua and Barbuda Opposition Leader Gaston Browne challenging the constitutionality of the decision of Parliament to amend the Representation of the People Act 2010. But the Court, which handed down its ruling here, upheld the appeal filed by Browne as to whether the Boundaries Commission was fair in its preparation of its report, which the Antigua Labour Party (ALP) said was biased and unfavourable to the party’s political candidates. 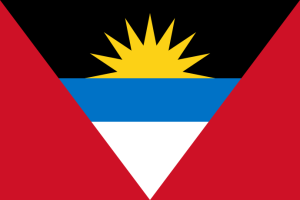 In its ruling regarding the Representation of the People’s Act, the Appeal Court, noted that in 2010, Parliament, by ordinary legislation, had amended the legislation which changed the qualifications for Commonwealth citizens to be eligible to vote in Antigua and Barbuda. Section Five of the legislation was amended altering section 16 of the principal Act by increasing from three years to seven years the residency qualification of a Commonwealth citizen before such citizen could be registered as an elector. Additionally, the amended legislation prescribed a period within which persons who now qualify under the act to apply for registration as an elector. In challenging the constitutionality of the amended legislation, Browne had argued that the re-registration process had retrospective effect and that this infringed section 40(3) of the Antigua and Barbuda Constitution Order 1981. Browne also alleged that during the registration process the Supervisor of Elections was illegally striped of her duties as the Chief Registration Officer and as a result the re-registration process was null and void. Browne also argued that the Chairman of the Commission was actuated with bias and this bias infected the Commission and its subsequent functions. The High Court had ruled against the appellant’s allegations and claims and found that Parliament had the authority to legislate from time to time with respect to the qualifications for Commonwealth citizens. The Court found that amending Act 2010 did not violate or infringe any provisions within the Constitution. “The judge found that the legislation prescribes the needed qualifications which are required at the time the right to vote is to be exercised. The learned judge could not identify any specific function of the Supervisor of Elections that was usurped. In addition, the learned judge found that there was no evidence of bias,” the Appeal Court noted. In its ruling the Court of Appeal also indicated that the scope of section 40 of the Constitution identifies the parameters within which a person becomes entitled to vote. The Court also noted that the words “may prescribe” specifically mentioned in section 40(2) of the Constitution “gives to Parliament the power to legislate from time to time and as it sees fit in respect of the qualifications relating to residence or domicile for registration of any person as a voter. “The section clearly reserves to Parliament the power to pass ordinary laws in relation to the specified qualifications. Thus, it must be presumed that the framers of the Constitution intended that Parliament retain such power. “In that regard, Parliament having made an amendment to the principal Act was not infringing section 40 or any other provision of the Constitution. Parliament purported to act within the powers directly conferred on it by the Constitution, particularly section 40(2),” the Appeal Court ruled. In upholding the appeal by Browne as to whether the Boundaries Commission was fair in its preparation of its report, the Appeal Court noted that the Commission produced a first report in March 2013 in which it recommended alterations to constituency boundaries, after having organised one day of consultation with members of the public on 29th November 2012. It said the first report fell within the Commission’s deadline of 28th June 2013 for submission to the Speaker of the House of Representatives. “Objections were made to it in the form of legal proceedings “ with the appellants arguing that “the Commission had not given the persons from whom they invited consultations any of the proposals it was considering and that insufficient use has been made of the census data in attempting to achieve equality in the number of inhabitants in the proposed constituencies”. It said following legal advise the first report was withdrawn. It said a second report was produced in June 2013, the day after the last consultation meeting, to submit any comments or counter-proposals. The appellants took issue with the second report and instituted legal proceedings seeking declaratory and injunctive relief and essentially seeking to impugn the Second Report. In its ruling the Court of Appeal agreed that consultation was inadequate and dismissed the other grounds of appeal. It said “a party is required to challenge in cross-examination the evidence of any witness of the opposing party if he wishes to submit to the court that the evidence should not be accepted on that point. Failure to cross-examine a witness on some material part of his evidence, or at all, may be treated as an acceptance of the truth of that part or the whole of his evidence. In dismissing the allegation of gerrymandering, the Appeal Court noted that in order for such an allegation to succeed “ two elements must be satisfied by cogent evidence. “Firstly, it must be shown that the Commission altered the boundaries and that the alterations had the effect of diluting or weakening the opposing party’s support in those altered constituencies. Secondly, it must be shown that the Commission so altered the boundaries precisely for achieving that effect – that is, the strengthening of the other party’s electoral chances over the opposing party thus weakening the opposing party’s electoral chances in those constituencies. “ On the facts of this case, gerrymandering was clearly not made out. The evidence fell short of establishing with clarity and certainty, that the ALP votes have been diluted to the advantage of the UPP (United Progressive Party). “ Further, there was no evidence which amounted prima facie, let alone established, that the Commission in fact set about re-drawing the constituency boundaries in order to negatively impact the ALP’s chances and positively impact the UPP’s chances or vice versa,” the Appeal Court ruled.